Improving Email Copy and Response Rates by Incorporating the Six Universal Buying Motives. I’ve been teaching email marketing to professionals for more than 15 years and have been an email marketer for over 20 years. We’ve seen email marketing go through many trends over the years; email sending platforms have come and gone. We’ve seen emphases on improving deliverability, building subscriber lists, generating personalized content, and now marketing automation. Through all of the trends, one thing has remained constant though; the need to communicate well and to incentivize the customer to respond. That requires good, if not great, copy. However I feel copy is the one area marketers seem to compromise on the most in the “cram it out,” busy marketing calendar. It’s often left to a product manager to direct the copy, and the focus will be on product features…not necessarily on benefits. Then the marketing department slams it into an email template, and it’s gone. With little pause to think about whether the copy really answered the prospect’s questions, or told them something in a way that would soothe their buying anxieties. Are Marketing Automation Templates Tempting Marketers to Go Too Fast? To make the situation even worse, email marketing templates make it too easy to mindlessly copy and paste copy to fit the template. The email marketer thinks they’ve done their job if they have the headline fit the banner just right, and there are just the right number of sentences and bullet points to fit the template copy area. But did anyone stop to think if the headline made the prospect feel better about choosing your product over the competition? Or if the bullet points answered their need for time savings and convenience? Probably not, because the emphasis is on the template and the schedule, not on the need to write copy that gives the prospect motivation to buy your product. The best book I’ve read on advertising is the timeless tome, “Ogilvy on Advertising”, by David Ogilvy. In the book he says, “The consumer isn’t a moron; she is your wife. You insult her intelligence if you assume that a mere slogan and a few vapid adjectives will persuade her to buy anything. She wants all the information you can give her.” And he was right. You need to give a consumer a real reason to consider to buy your product and not the competition. Mere slogans and soundbites won’t do it. Good writing requires us to have empathy for our audience, their situation, their needs, their goals. That means you have to meet people where they are, with an attitude of benevolence and largesse, to help them find answers to their problems. This starts with understanding the Six Universal Buying Motives. Then write customer-centric copy that addresses their problems. Listing product features may convey information, but it may not persuade the consumer to buy. Why? The feature may not help them relate the product to their problem or fear. You need to do that for them by turning the feature into a benefit that fits into their motive for buying. Every feature of every product or service you sell should be communicated to answer one of the six universal buying motives. And if it doesn’t, then you should reconsider the product or the feature. How does that translate to B2B products? How does that translate to B2C products? How Much Affect Does More Effective Email Copy Have on Response Rates? Using the six universal buying motives as your guide, take your list of features and relate them to a benefit that answers a buying motive. That becomes the building blocks of the most persuasive and effective email copy possible. You may wonder how much impact this approach may have on email response rates? We have been hired to re-write many sets of nurture emails where we could test our re-written, buying-motive-optimized copy against older, control copy and clients have reported results ranging in 25% – 100% improvement in open and click-to-open (CTO) rates. Why? We answered the prospects’ most pressing fears and buying anxieties very quickly in the copy, and made them feel confident in the choice of our client’s product. Let’s review a few examples of emails that were written with the buyer’s motives in mind. The first two are from the Beasley Direct and Online Marketing portfolio, and the last one I found searching Google for email examples and thought it was clever. Heat Software: This email was sent to IT directors who are usually given limited budget and headcount, and yet have a lot of constituents at their company to keep happy. So when the internet or computers go down, they need a fast way to resolve problems. 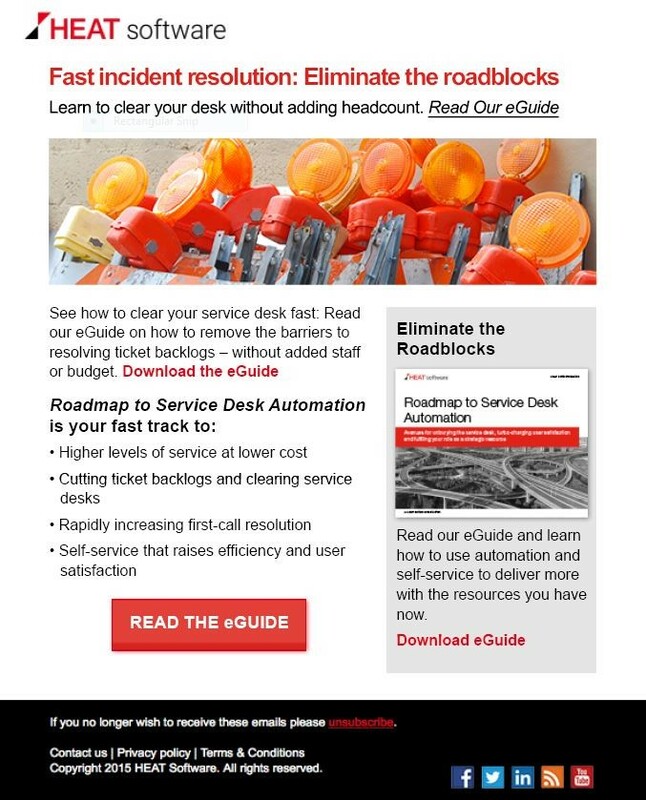 This email focuses the headline copy on the needs of the busy, overworked IT director by helping them see how Heat Software helps them get fast incident resolution, eliminate roadblocks, and clear their desk without adding headcount. The supporting bullets focus on lower cost, clearing backlogs, faster resolution and user satisfaction…all buying motives for the harried IT director who needs to solve problems fast and cost-effectively. 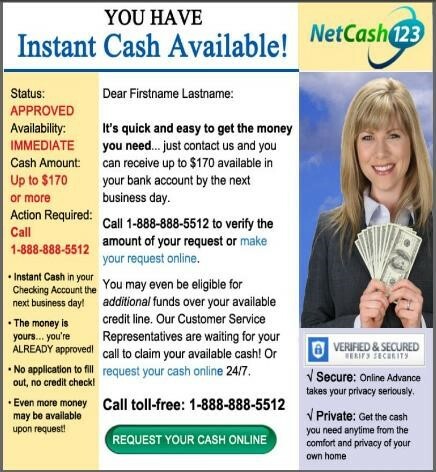 Netcash: This email was sent to consumers who were profiled to be pre-approved via their credit score for a cash loan. 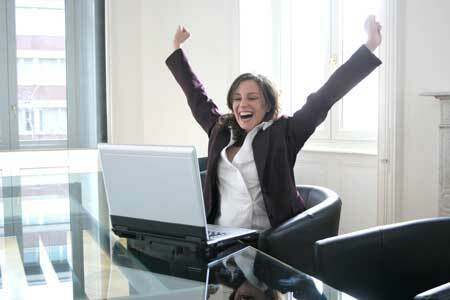 If they are in a situation to need a loan, they usually need it fast, with no hassle. The headline copy emphasizes that cash is instantly available. The body copy tells them how quick and easy it is to get the money. Copy in the sidebar emphasizes their status is APPROVED and the cash is available IMMEDIATELY, all satisfying the buying motives of a consumer who might be in need of a fast loan. JCrew: I found this email sample searching on Google for email examples and I’m putting this email example in just for fun. No, people really don’t “need” candy bars. But they do want candy bars…and they’d rather have a full size than a half size. This headline does a fun job of answering a human need for more value and does it in a fun way. It also peaks the curiosity on what other treats might be waiting for them, because let’s face it, we like treats, not tricks. I love the whole concept of this email and the way they communicate a sale in way that makes folks feel like they’ll get twice the value. All of these examples show copy that was thoughtfully written to communicate product features or concepts that presented value, and answered human buying motives at every moment throughout the email presentation. The email showed empathy toward their needs and situations and brought the reader over to the product or company’s side, and inspired them to act because they were convinced the marketer had something of real value for them. The reward for this thoughtful approach to email copywriting can be significant with increases in open and click-through rates of 25% to 100%. So the next time you’re tempted to slap copy into the email template and call it a day, take a step back and ask yourself: Does my copy answer the universal buying motives of my audience? If it doesn’t, take an extra day to re-write the copy to answer your prospects’ questions and motives in your copy. Your prospects will reward you with paying more attention to you with more opens, clicks, and conversions…isn’t that what email marketing is really all about? Through all of the trends, one thing has remained constant though; the need to communicate well and to incentivize the customer to respond. That requires good, if not great, copy.